It should come as no surprise that we’re big fans of Intuit and the QuickBooks app ecosystem. As the leading CRM for QuickBooks, we love helping accountants and small businesses extend the power of their accounting software through better customer management. We also love that the possibilities for new app integrations are endless — who knows what developers will think of next? That’s why we’re thrilled to have been selected as an API partner for the upcoming Intuit Small Business Hackathon Toronto. As a two-time winner of this event in San Jose, we can’t wait to take on the challenge here in our hometown. What is the Small Business Hackathon? The Small Business Hackathon will take place on December 1-2, before the kickoff of QuickBooks Connect Toronto. Participants will be challenged to create a brand new app solution that saves small businesses time or money. Anyone who wants to improve the lives of small business owners is invited to participate, and the winning team will receive a grand prize of $5000 CAD. To register for the hackathon, click here. 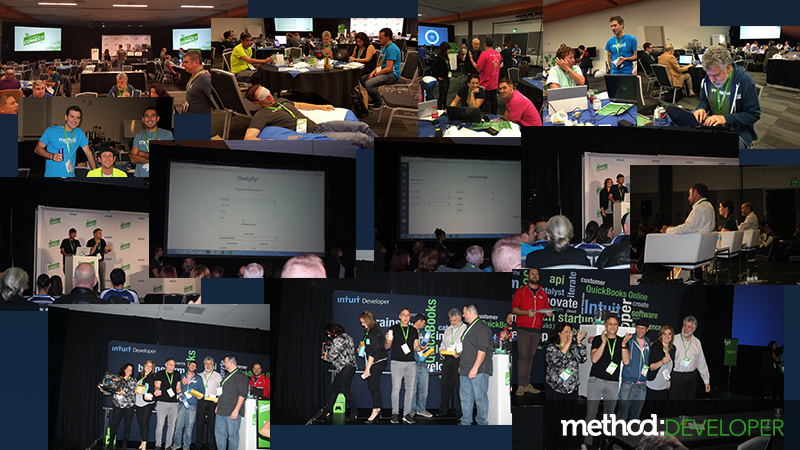 What is Method’s role in the hackathon? In a nutshell: Participants can leverage Method’s flexible no-code platform and powerful QuickBooks sync to build an innovative small business app. While Method is known for its flagship CRM, the Method platform has the potential to do so much more than just manage customer relationships. In fact, the entire CRM is built on Method’s 100% customizable, no-code platform. Since Method users have full access to the customization interface, they can build new apps from scratch within Method, all without writing a single line of code. And because the Method platform has a real-time, two-way sync with QuickBooks, users can incorporate valuable customer and transaction data into their Method workflows. Need a little inspiration to start hacking with Method? Here are a few examples that demonstrate just how flexible Method can be. At the inaugural Small Business Hackathon, a team of Methoders worked through the night to hack their own platform into something new and noteworthy. The result was Method:Donations, an end-to-end donor and donation management solution. The new app allowed nonprofits to easily track donor data and accept online donations, all with a deep two-way QuickBooks Online integration. Out of 45 app pitches, Method:Donations was awarded the $55,000 grand prize — and less than a year later, it went live on the app store as Method:Donor. At the following year’s hackathon, a group of accountants formed a team: David Webb and Gregg Bossen of QuickBooks Made Easy, Robin Hall of VARC Solutions, Bill Kennedy of Energized Accounting, and Karine Woodman of 24hr Bookkeeper. Given that all of the team members were Method partners, they were familiar with the power of customizing Method — so away they went to build an app. Two days later, Pledgify was born. Pledgify filled a market gap by allowing nonprofits to collect more of their pledged dollars without extra admin work. The app made it simple to record pledges and sync them to QuickBooks Online, as well as send reminders, thank you’s and tax receipts to donors. After two rounds of pitching, Pledgify was named the winner of the “nonprofit solution” track, once again highlighting how Method can become whatever you need it to be. SaaSphalt is a third-party software service built on the Method platform by Tech In The Field. The service is designed to help asphalt companies streamline their operations from the first point of contact with a customer to invoicing a completed job. Each app within SaaSphalt has been custom-built with the needs of the asphalt industry in mind, going far beyond basic CRM functionality. For a closer look at how Method was customized to create SaaSphalt, check out this blog post. Every small business has unique needs, and that means they need unique app solutions. Luckily, Method is ready to rise to the challenge with its infinite customization potential. 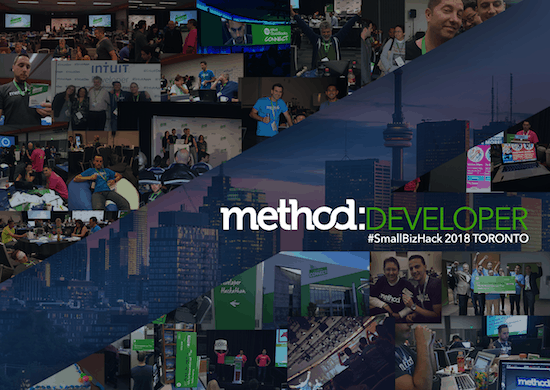 Join us at the Small Business Hackathon on December 1-2 — we can’t wait to see the amazing small business solutions you’ll build using Method.